Pictured: The Cargill Tropical Palm (CTP) Learning Academy. Primary school teachers will undertake their Bachelor in Education degrees at the academy, located in Manis Mata. Indonesia, April 1, 2014 – Cargill is embarking on a landmark move to bring higher education to West Kalimantan through a distance learning program, as part of its push to provide access to education to rural areas. 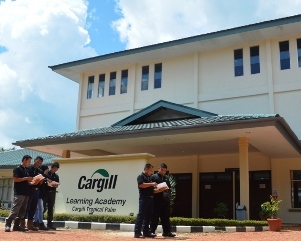 Cargill will be working with Yayasan Harapan Masa Depan Cerah (YHMDC) – ‘Hope For A Bright Future Foundation’ and Universitas Terbuka (UT) to allow a total of 58 primary school teachers to undertake their Bachelor in Education degrees at the Cargill Tropical Palm (CTP) Learning Academy in Manis Mata. Of the 58 teachers, 25 are employees of YHMDC receiving full scholarships from the foundation. These teachers were selected for their outstanding performance as well as for their demonstrated commitment towards self-improvement, their passion for impacting the lives of the young in the community and their desire to develop their teaching capabilities. Cargill is contributing more than IDR531 million (US$46,733) towards these scholarships through its oil palm plantation in West Kalimantan, PT Harapan Sawit Lestari. An additional five teachers from the YHMDC together with 28 teachers nominated by the Ketapang government from public schools in the region will participate in the Bachelor’s program through their own funding. All 58 teachers, who would otherwise not have access to higher education, will soon commence a five-year long Bachelor in Education program, via distance learning, at the CTP Learning Academy. According to UNICEF, it is estimated that over 600,000 children in Indonesia have not attended primary school due to little access to educational facilities in rural areas or a lack of financial ability. On top of that, the Indonesia University of Education found that only 22 percent of primary school teachers in Indonesia are sufficiently qualified despite a regulation that requires all teachers to have the minimum of a Bachelor’s degree. “By receiving their Bachelor’s degrees, these teachers will be better equipped to inspire children into contributing members of society. We are honored to be able to play a role in shaping the landscape of education, extending Cargill’s efforts for education in Indonesia after initiating the country’s first palm oil teaching farm in Bogor in 2012,” said Ong Kee Chau, President Director, PT Harapan Sawit Lestari. 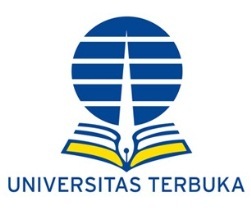 Universitas Terbuka was established in 1984 and specializes in open and distance learning. The course will be taught by 15 instructors who were recruited by the Foundation, the Pontianak branch of Universitas Terbuka and the local Ketapang Department of Education. Cargill believes that education is essential and fundamental to the development of individuals into well-adjusted contributing members of society and supports programs and projects that improve access to primary and secondary education for children. During the last four years, Cargill-funded CARE (Cooperative for Assistance and Relief Everywhere) programs have helped more than 53,900 children stay in school, while training more than 3,000 teachers and education officials. Universitas Terbuka (UT) is the 45th State University in Indonesia. Inaugurated on September4, 1984, by the virtue and decree of the President of the Republic of Indonesia No. 41 of 1984. UT aims to provide expansive opportunities for Indonesian citizens and foreigners, wherever their place of residence, the ability to attain higher education; to provide higher education services for those who, because of their work or due to other reasons, are not able to further their studies in face-to-face prominent higher education institutions. UT also aims to develop academic and professional programs that are so far unaddressed by other universities and meet the genuine needs of national development. UT applies a distance and open learning system. The term distance means that learning is not performed face-to-face, but makes use of media, whether printed media (modules) or non-printed (audio/video, computer/internet, radio and television broadcasts). Open means there are no limitations to the age, year of graduation, period of study, registration time, and frequency of examinations. The only pre-requisite is that all UT students must have graduated from High School (SMA or equivalent).